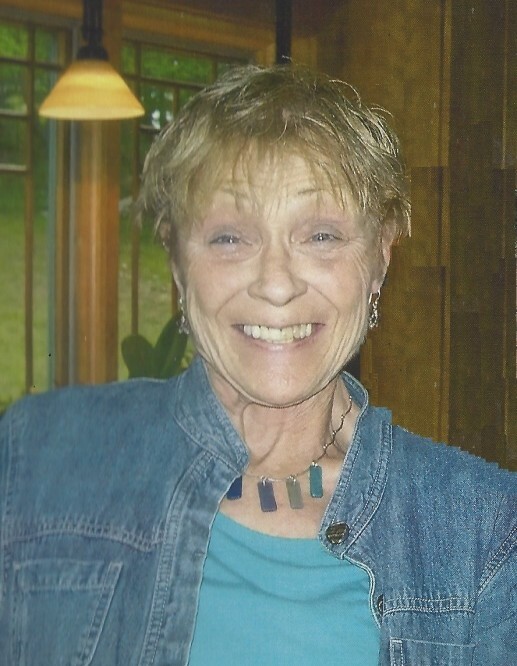 Dawn Minard, 72, of Hebron, passed away peacefully at home on March 20, 2019 while surrounded by her loved ones. She was born in Bath, Maine to John and Madelyn Leonard in 1946. Growing up as an army brat, Dawn and her siblings Bonnie and John toured the world with their parents until the family settled in Massachusetts after her father's military retirement. Dawn spent many years living in the South raising her three children, Kelly McGuire, Amy McGuire Knutsen and Jay McGuire, but they eventually moved back to New England where she met and married her husband Jonathan in 1987. They shared a beautiful home built by Jon in Hebron along with many pets including two well-known grazing cows. Dawn always enjoyed maintaining the grounds of their home which flourished with beautiful plantings, flowers and gardens. As a lover of nature and all living things, Dawn relished in the continuous butterflies, birds, bats, deer, turkeys and bunnies whom all felt safe and cherished on their secluded Hope Valley property. Dawn was the most generous of people, and took great pleasure in giving. Not only to her family, but to her friends and to anyone in her circle of life. To say she was thoughtful is an understatement, as gifts were always carefully chosen and with great thought and purpose. Those on the receiving end of such gifts could also count on a beautifully wrapped package. Dawn was called “Grandy” by all of her grandchildren as well as their friends. Grandy never hesitated to engage in her grandchildren's lives and to enrich them in every way possible. Much of her time and energy was spent in preparation for or participation in activities relating to her beloved grandchildren. Grandy was only known to arrive late to an event when or if she needed to stop and help a turtle to safely cross the road. In recent years, Dawn enjoyed painting in watercolor with her friends at the Hebron Senior Center. She also enjoyed creative stamping with her friend Sara and the ladies at stamping class. Dawn was a vivacious storyteller and captured every vivid detail within the story, but Dawn’s zest for life and her positive spirit will likely be what she is remembered by the most. Though she suffered a long illness which slowly began to limit her activities, her positive outlook allowed her to miraculously survive many health hurdles and never once did her optimistic attitude waiver. She was an inspiration to everyone around her. Her first questions of her medical staff were about their lives, their children and their well being versus questions about her own failing health. The fact that Dawn's final journey took place on the first day of Spring is so fitting. "To laugh often and much; to win the respect of intelligent people and the affection of children; to earn the appreciation of honest critics and endure the betrayal of false friends; to appreciate the beauty; to find the best in others; to leave the world a bit better, whether by a healthy child, a garden patch or a redeemed social condition; to know even one life has breathed easier because you have lived. This is to have succeeded!" Dawn leaves behind her devoted husband Jonathan; her sister and brother, John Leonard and Bonnie Ashe along with their spouses; her three children and their spouses; her beloved grandchildren, Nicholas, Cori, Olivia, Vander, Docker, Mimi, Maja Grace, Maddie and Mojo; her first great grandchild; Camden (to be born in May); a niece, Kate and two nephews, Tom and Colin. Calling hours will be at the Aurora-McCarthy Funeral Home, 167 OId Hartford Road, Colchester, on Saturday (March 30th) from 2 – 4 pm and a celebration of her life will take place on a future date. In lieu of flowers, donations can be made to Hebron Interfaith Human Services, P.O. Box 634, Hebron, CT 06248.